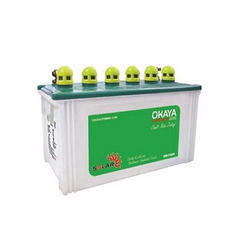 Our product range includes a wide range of okaya solar batteries, solar ups battery, luminous solar battery, deep cycle solar batteries, solar batteries and exide solar batteries. 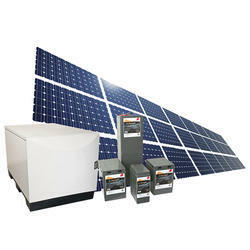 We are involved in offering an extensive series of Solar UPS Battery. These are developed with the help of premium grade raw components. It can be modified as per our specifications laid down by our clients. Our products provide best and efficient working capacity and are thoroughly tested on various parameters. One can easily get it at a very reasonable rate. 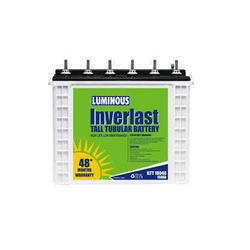 We are one of the well-distinguished companies in the market that are into offering Luminous Solar Battery. 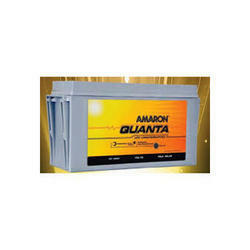 We are engaged in offering wide range of Deep Cycle Batteries for Solar Application. 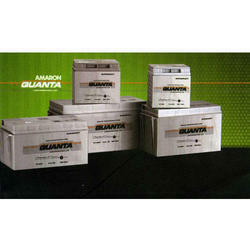 These Deep Cycle Batteries are of best quality made from high grade of material using advance technique. 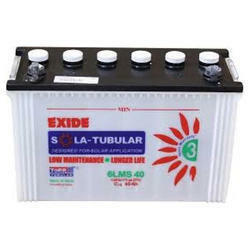 We are authorized dealers for Exide LA, Tubular, SMF Solar Monoblock Batteries. 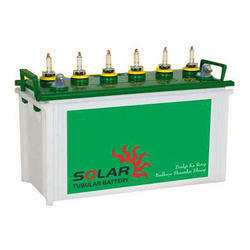 Exide Solar Battery are ideally suitable for solar LED lighting systems Solar Power Plant. We recommend the same for all solar application. We also dealers for EXIDE SF range of batteries. The battery capacity ranges from 7.2AH To 200AH with Warranty cards. 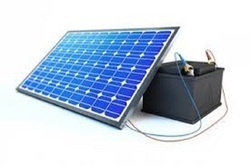 We are reckoned amongst the customers for trading and supplying an extensive range of Solar Tubular Battery. These are used amongst the customers for their best quality and excellent performance. These are available as per the industry standards and in recommended specifications. We offer them to our patrons after checking them on various parameters. Looking for Solar Batteries ?